The Fund was established in 1987 in memory of Gabriel F. Tucker, Sr. and Gabriel F. Tucker, Jr., by a bequest $5,000.00 from the Estate of Gabriel F. Tucker, Jr., gifts from Fellows of the Association and friends Gabriel E Tucker, Jr.
To establish, in the form of a medal, the Gabriel F. Tucker Award in memory of Gabriel F. Tucker, Sr. and Gabriel F. Tucker, Jr..  The Award is to be given preferably to American Laryngological Association member, but necessarily, in recognition of the individual’s contributions to the field of Pediatric Laryngology or for outstanding service to the Association. The award will be given annually if an outstanding recipient is identified. A Committee, known as the Gabriel F. Tucker Award Committee, will be appointed annually by President. The Committee will consist of three (3) Fellows who will serve staggered terms and may include one more Gabriel F. Tucker Award recipients. The Committee will submit its recommendation to the Secretary by a date designated by the Secretary and prior to the Winter Council Meeting. The Council alone will make the selection for the Award. The Award will be presented at the Annual Meeting. Income from the Fund will be used for expenses connected with the Award.